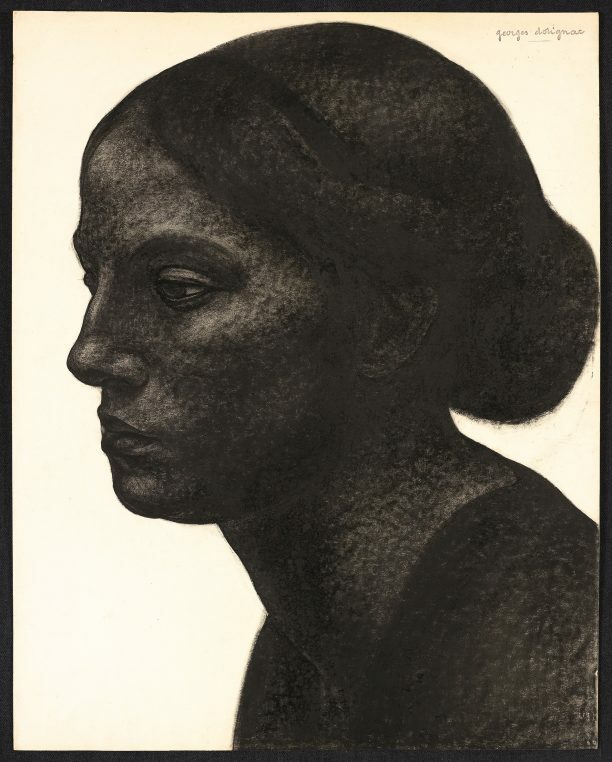 While there is a very politically correct exhibition devoted to “Black Models from Géricault to Matisse” at Musée d’Orsay, the delightful Musée de Montmartre is giving a show to Georges Dorignac, an artist from the turn of the century, who painted everyone in black. He died at 46 in 1925, and was forgotten until recently. 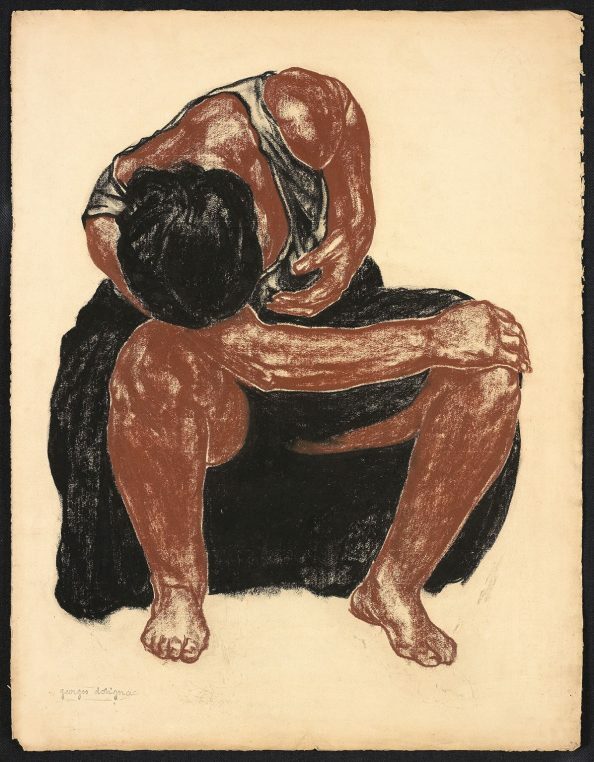 Eighty five of his works have been lent by Galerie Malaquais, private collectors and museums, and the strength of his drawings is a revelation. Born in Bordeaux and raised in the south west of France, Dorignac studied with Léon Bonnat in Paris. His first paintings are colorful and concentrate on his daughters. But in 1912, Dorignac starts a series of black odalisques and “masks” that he shows at Salon des Indépendants. They echo Rodin’s bronze sculptures seen at Musée du Luxembourg and are reminiscent of one of the Bourgeois de Calais. His self portrait in black lavis is exhibited here as is a bald man. Many ladies are also portrayed at work. This black series follows ten years of intense research at the Louvre and Musée Guimet, when he shows watercolors of Ile de France landscapes (bought by Musée du Luxembourg) and monochromatic portraits. He also draws in San Sebastian, along the valley of the Adour river and in the Landes, keeping close to the landscapes of his childhood. 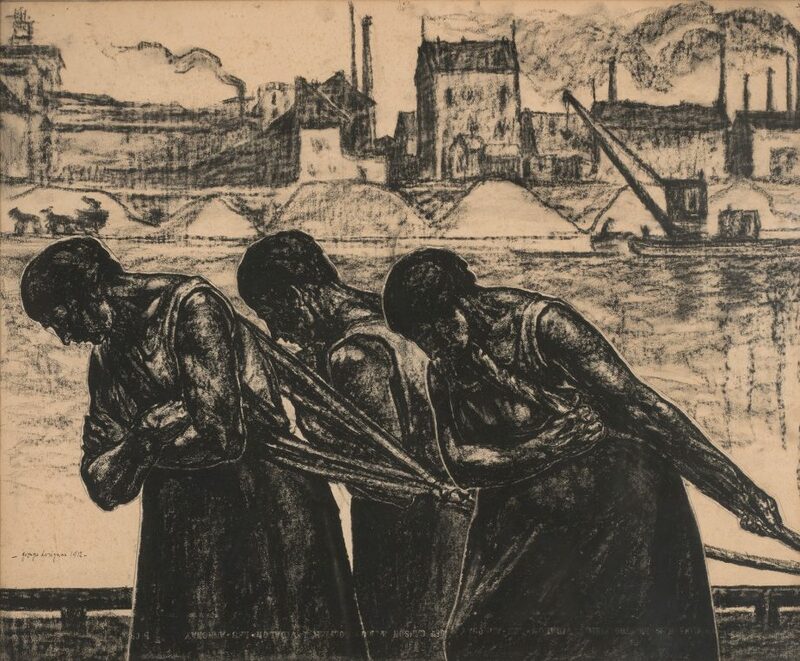 In 1902, he meets his patron Gaston Meunier du Houssoy who, with a regular stipend, allows him to settle with his family in Verneuil sur Seine, where he moves in 1907, and exchanges an intense correspondance with him. 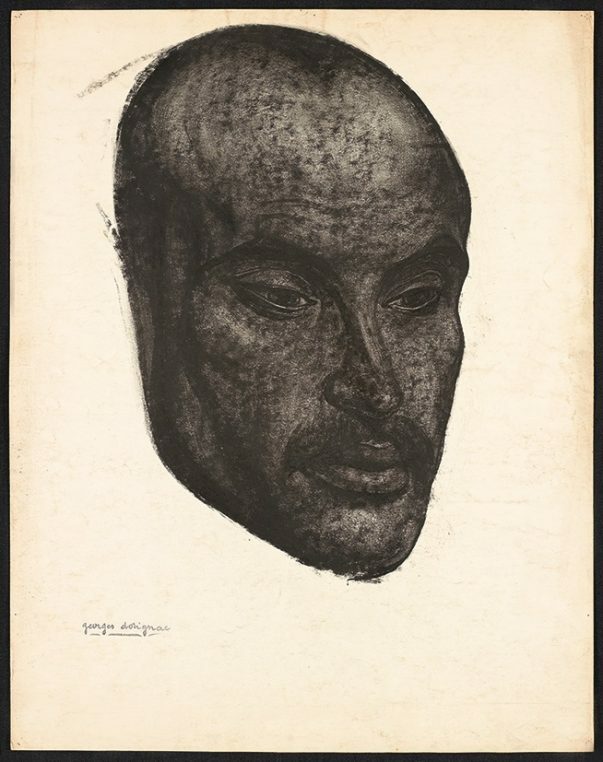 In “Art et Décoration”, a monthly magazine for Modern Art, Meunier du Houssoy publishes his drawings in March 1914. 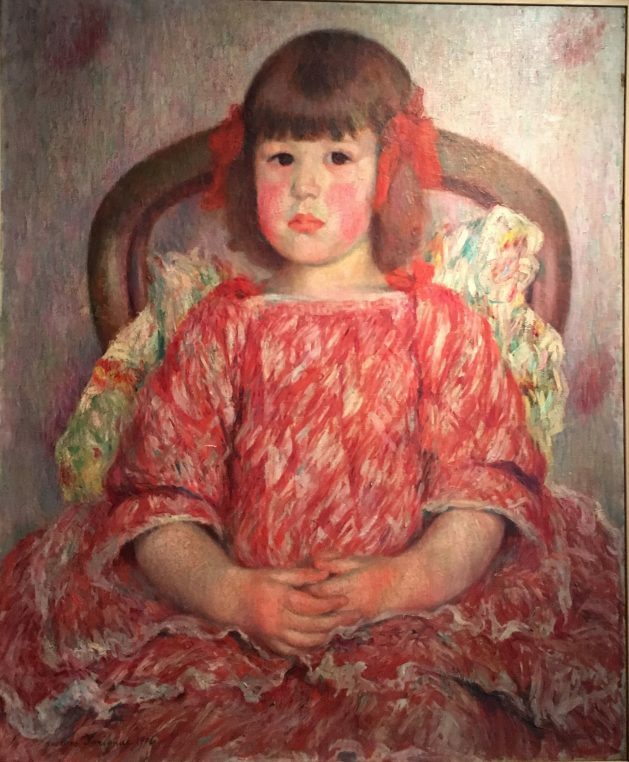 In an earlier issue for the same magazine, his portraits of little girls are compared to Renoir’s. Towards the end of his short life, he is exhibited at galerie Marcel Bernheim and acquires respect and a small celebrity. A posthumous exhibition takes place in 1928. The exhibition at Musée de Montmartre (until September 8, is worth visiting for the originality of Dorignac’s style. And the large garden around the museum is a delight in the summer with its outside restaurant. 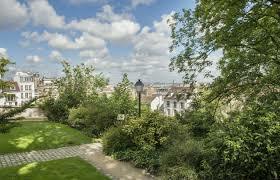 It is one minute from place du Tertre. Très beau .. Nous espérons pouvoir voir cette exposition ! !